These four rural departments make up the northern part of the Midi-Pyrénées region, in south-western France. Together they boast diverse and unspoilt scenery, vibrant medieval towns, fascinating caves and grottos, and some of France’s most beautiful and most visited villages and cities. Named after the river, Tarn enjoys varied and unspoilt scenery, and several interesting and vibrant medieval towns. 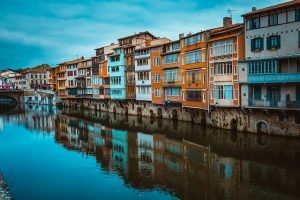 For those who love the great outdoors, Tarn offers river valleys, dramatic gorges and forested mountains, with walking trails, cycle routes, horse-riding and fishing. 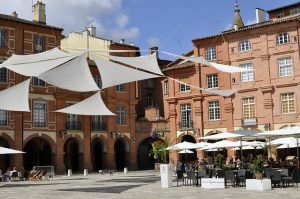 Its prefecture, Albi, is widely considered one of France’s most beautiful cities and was the birthplace of post-impressionist artist Toulouse-Lautrec, in 1864. Stone-built properties are typical in Tarn, along with half-timbered or colombage houses. In the countryside, elegant farmhouses, vigneron houses and other agricultural buildings are common, and there are plenty of châteaux and pigeonniers. Traversed by the Rivers Tarn and Garonne, this department was created in 1808 by Napoléon Bonaparte and is among France’s smallest, yet it offers surprisingly diverse scenery. 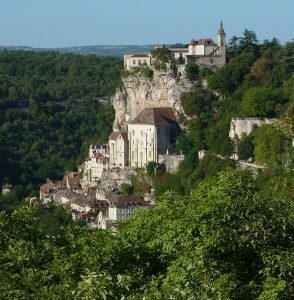 This includes the foothills of the Massif Central, dramatic gorges of the River Aveyron in the north-east, and rolling hills in the south-west. 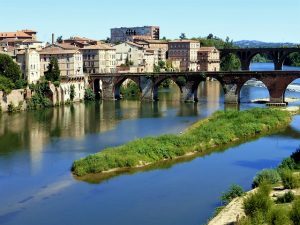 The departmental prefecture is Montauban, which lies in a fertile plain, watered by the Tarn and Garonne rivers and is renowned for its fruit growing. Properties in Tarn-et-Garonne include stone Bas-Quercy houses, with stone cellars, courtyards and pigeonniers, and rustic stone houses with wood beams, large and luminous rooms, sometimes separated by archways. Named after the Lot River, this is the most northerly department of the Midi-Pyrénées and enjoys varied and attractive scenery, including rolling hills, rivers, dramatic cliffs, hilltop villages, unspoilt woodlands and sunflower meadows, as well as some of France’s most visited underground caves and grottos. 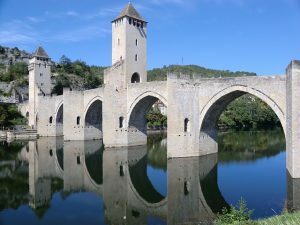 Its prefecture is the medieval cathedral city of Cahors, which lies in a wide loop of the Lot River and is famous for its bridge, the Pont Valentre. Property styles include Quercy houses, found around Cahors and in the higher Quercy area, which are made of clay. They are rectangular and usually include shed dormers, covered terraces and a pigeonnier. Many houses were built using limestone and yellow sandstone, some of which may still be exposed inside. Some roofs were built using ancient Provençal tiles, and in many properties the tower is a part of the house. There are also half-timbered properties. 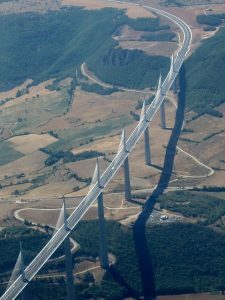 Part of the southern Massif Central, this department is the fifth largest in France, and enjoys varied and beautiful scenery, from flower-studded moors and rugged plateaux to rolling hills and dramatic river valleys. It also boasts no fewer than ten villages belonging to the Les Plus Beaux Villages de France association – more so than any other department. 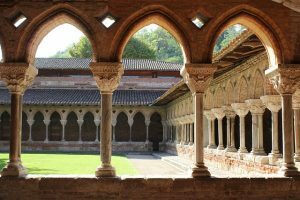 Most are unspoilt and medieval, and some fall within the Via Podiensis GR65 pilgrim route to Saint Jacques de Compostelle, which crosses the department. Aveyron has a healthy tradition of handicrafts, and is home to the famous Couteau de Laguiole knife, with its distinctive slim styling and bee emblem. Its most famous delicacy is Roquefort cheese, produced in the village of the same name. Its prefecture is Rodez, with museums, a rich historical centre, parks and an aquatic centre. The ten plus beaux villages de France: Belcastel, with its 15th century castle, Brousse-le-Château, with an 11th century fortress, La Couvertoirade, known as the jewel of the Larzac, Conques, a major stop on the Chemin de Saint-Jacques-de-Compostelle, Estaing, with several medieval buildings, Najac, a medieval village, Peyre, with stone houses and a troglodyte church, Saint-Côme-d’Olt, an unchanged medieval village, Sainte-Eulalie-d’Olt, with traditional pebble-built houses, and Sauveterre-de-Rouergue, built around a large, arcaded square. The architecture in Aveyron is as varied as its landscape, and this is a popular area for second homes. Buildings on the higher plateaux have steeply pitched roofs covered with split stones, or lauzes. In the west, farmhouses have tiled roofs and external stone staircases leading to covered balconies or bolets. The colour of the stone ranges from creamy white to dark honey to umber red around Rodez.